And it’s one US-based mid-tier health club player, 24 Hour Fitness, has been working its way through over the last three years. In 2016, the company was standing on a burning platform: Evolve what it offered members or lose marketshare. “We were a mid-tier player in the health space in the US and getting beat right off the bat. It forced us to really get into our digital transformation,” VP of marketing, Mike Carney, told CMO in a recent interview at the Adobe Summit in Las Vegas. The ambition was set to move from a physical gym brand functionally known for being open 24 hours a day, to a holistic omni-channel fitness brand boasting emotional, personal connections with members, that was differentiated in the market. “Your fitness journey is something we’re very emotional and passionate about. Our mantra – ongoing daily support across your fitness journey,” Carney said. Hindering these efforts, however, were legacy apps, a mix of disparate platforms and tools, and a brand in disarray. So 24 Hour Fitness started the journey to mass personalisation. The hitlist included revising the brand vision and strategy, creating a new data structure, selecting strong technology partners, platform development, increasing in-house content production, conducting behavioural research, omni-channel integration and team member integration. Key pillars to addressing digital personalisation became building out and acting on a holistic customer view, developing engaging content, harnessing big data and machine learning for insight, automating as many processes as possible, and orchestrating omni-channel communications. Here, we look at the components of 24 hour Fitness’ transformation. One of the first steps was building a technology foundation that could support a holistic, omni-channel marketing approach. Historically, 24 Hour Fitness was running a disparate mix of systems including Adobe, IBM, Microsoft, Netpulse, Salesforce, Agility|Harmony and Hyper. The decision was made to invest in the whole Adobe Experience Cloud suite, with Microsoft Dynamics 365 as its CRM backbone. It also brought mobile app development in-house. The CRM then became the backbone of all 439 club operations across the US. “When you check-in, or say you’re interested in joining – all that data is collected in the CRM,” Carney explained. All information is flowing into a data lake, which sits between the CRM and Adobe platforms. “We set up that data governance rule initially so all that first-party data comes in to the lake, all our demographics and psychographic data comes in, and any other useful data criteria. That all then flows into Adobe,” Carney said. With the IT function largely focused on operations, a decision was made to also hire business specialists in IT and IT consultancy groups to inside the function and drive a lot of data connectivity and governance flow. Supporting these efforts are Microsoft and Adobe as well as select partners. Geotargeting remains a core element in the customer targeting mix, and Carney said 24 Hour Fitness knew it had to excel at specific zipcode targeting across digital, social, search and TV. “As long as we’re concentrating our efforts, we can compete,” he said. “That was happening concurrently to the testing, the integration and connectivity work. Personalisation efforts have since moved beyond traditional gender or demographic data sets and are driven by behavioural marketing, website personalisation, digital kiosks, digital fitness programs that are customised, cross-device targeting, club Wi-Fi engagement, social engagement, Studio24 Live on-demand stream, experiential activities, ecommerce. For example, 24 Hour Fitness moves from initial location-based targeting, to a wealth of drip stream, customer journey-based programs. It’s also bringing segmentation into its media spend, using iterative data insights and testing to better target digital, TV, social and search advertising. 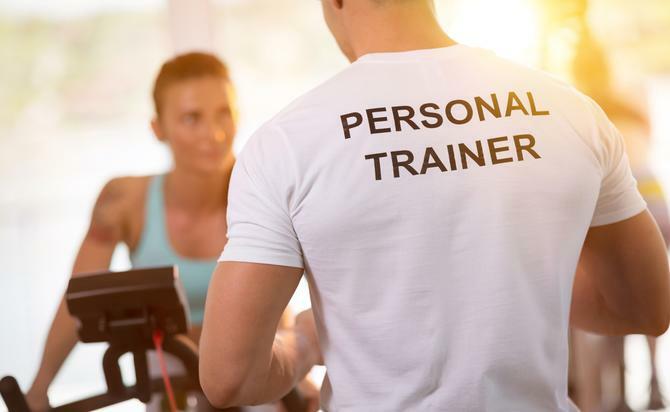 With personalisation comes the investment into content and like many organisations, 24 Hour Fitness has built out an in-house content production team. “Today we have so much content, and we’ve overlaid the segmentation in our mobile app, and now we have thousands of hours of content on exercising,” Carney said. The group also developed a digital magazine, 24Life, a decision that followed its extensive customer research process and need to realise a more emotive, member-led brand. “It’s given us a chance to create value propositions against each competitor, including the online players. It all came about through the brand restructure, supported by the tool and product themselves. It is all connected,” Carney said. Nowhere else has content customisation come better to life than in 24 Hour Fitness’ mobile app. Launched less than a year ago, it’s already being used by 1 million of its 4 million members. Again, the app is connected to the group’s Adobe Experience Manager digital content management platform so member experiences are seamless. “The app is prescriptive – if you say you want to work out from home two days per week, and you login, it’ll build your scheduling against what you’re interested in. If you want to work on arms today and legs tomorrow, it’ll set up the routine, keep track and start to apply it to the content you’re getting. It’s a customised workout,” Carney said. Commercially, one of the big milestones for Carney has been lowering cost per acquisition. “CPA has dropped in excess of 20 points in the last year. Our organic social has skyrocketed with the integration of the tools and products, and it’s all a function of bringing this content, measured with all our other marketing practices, into a more synergistic approach,” he said. In addition, 24 Hour Fitness has dramatically grown research, brand recognition and Net Promoter Scores. In the case of a decline in female members to competing fitness offers, Carney said it’s also been able to close the gap considerably. Off the back of the work, 24 hour Fitness in December launched a new brand campaign called ‘Your results. Your way’ focused on the personalisation now available to new members. Even as he was happy with the results, Carney said the company is only 40 per cent of the way there.